The Eastern Hub of Richmond's New Rapid-Transit System Has Promises and Pitfalls | News and Features | Style Weekly - Richmond, VA local news, arts, and events. Scott Elmquist Intersection of change: The new rapid-transit station will be near Orleans and Main streets, serving both upscale Rocketts Landing and lower-income Fulton. Orleans Street in Richmond’s East End is a short road that runs through a small industrial strip. It connects the rising, upscale condominiums and restaurants of Rocketts Landing with the lower-income townhouses and bungalows of Fulton and Fulton Hill. It’s also scheduled to be the eastern terminus of the $49 million bus rapid transit project, known as BRT, which will be called the Pulse. Within 18 months it is set to whisk passengers from Fulton through downtown to Willow Lawn and back for jobs, shopping and entertainment. The Orleans station is a focal point for how Richmond could leverage the new federal bus project into a more comprehensive public transit system than what exists anywhere in the region and certainly in the East End. It also could be the start of a new era in comprehensive planning that many people say is sorely lacking in Richmond. To make sure that the Pulse serves residents well, the city has won a grant from the Federal Transit Administration to seek technical advice from Smart Growth America and Enterprise Community Partners, both of Washington, and Van Meter Williams Pollack, a design firm based in San Francisco and Denver. On three evenings last week, representatives of those groups met at the Powhatan Hill Community Center with nearby residents and representatives of the Fulton area who hope the station will provide access that most Richmonders take for granted. Such issues were the focus of the three meetings in which out-of-town experts met with about 40 people from the community . The goal was to create possible designs that would make it easier for lower-income Fulton-area residents to use the Orleans Street station. They broke into four work groups to come up with ideas that will be consolidated into a blueprint for how the station will operate and affect the neighboring area. Among the questions is how safely residents can walk across busy Williamsburg Avenue to get to the station. What role will Stone Brewing Co. play, only two blocks away? Will the station spur growth that spills over to another series of projects for Main and Dock streets and other spots between Rocketts Landing and Tobacco Row? And some high-rise projects could move forward that might spoil commanding views from Libby and Church hills. Will the new housing price out poorer people or will it be affordable? Smart Growth America, the lead contractor, will put its report together by September, Zimmerman says. Olinger adds that the city will incorporate its findings in its final report on building out the line by the end of the year. Another element is run by Enterprise Community Partners, a housing consulting group created by the late James W. Rouse, famed for developing Baltimore’s Inner Harbor and Norfolk’s Waterside projects. Patrick Jordan, Enterprise senior director, says his job is to advise how some of the new housing spurred by the Orleans Station can be affordable. Skeptics have complained that the plan doesn’t do enough to reach into areas where the transportation need is the greatest, such as low-income housing projects Mosby and Gilpin courts. Instead, it might just move richer passengers from shopping at Willow Lawn to pricey riverfront apartments at Rocketts Landing. Advocates say it’s a start, and that more regional bus lines will be built out from the rapid transit spine. The GRTC Transit System will have more money to improve existing service, they say. The Orleans Street gatherings seemed to be an attempt to make sure that a better day in public transit is coming. One notable example was the presence of officials from Henrico County, which is not a member of the GRTC. A larger problem is that large-scale planning in Richmond under the administration of Mayor Dwight C. Jones has been notoriously fragmented and secretive, some say. Activists complain that they’re frequently left in the dark about what the city intends to do as shown by City Hall’s failed efforts to build a baseball stadium in Shockoe Bottom and develop the current Diamond site on the Boulevard. Such concerns have spilled over on the rapid-transit matter in the East End. Groce-Wright and Stewart Schwartz of the Coalition for Smarter Growth — a separate organization from Smart Growth America — say they worry about larger issues, such as how the plans might spur new growth along the riverfront. 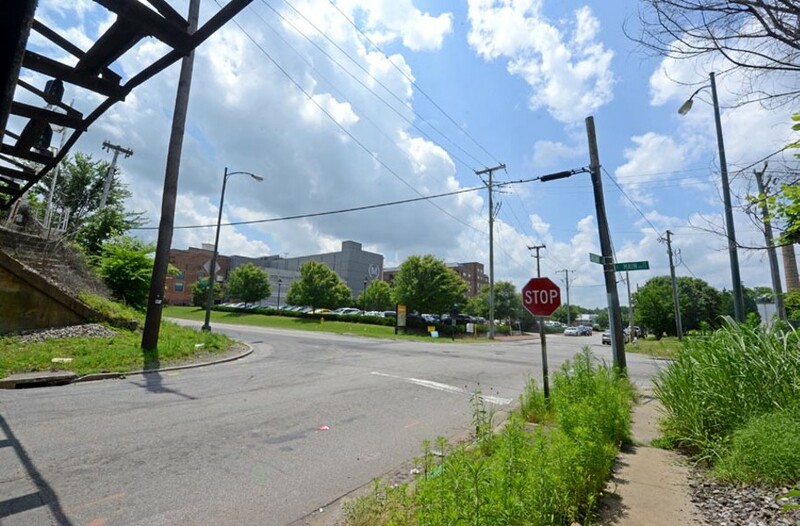 Several years ago, there were plans to build high-rise office and apartment towers that could block historic views from Chimborazo and Libby Hill parks. Developers Louis Salomonsky and David White had proposed a luxury condominium building that would tower 13 stories above ground level. Another possible project, USP Echo Harbour, would develop more land near the riverfront. Schwartz wonders why the Orleans Street station meetings didn’t address riverfront and Church Hill issues. He believes that the failure to do so shows, once again, the city’s aversion to comprehensive planning. “I have dealt with about 17 communities and given an urban locality,” Schwartz says, “I’ve never seen anything like the lack of public engagement and planning as in Richmond,” Schwartz says. Olinger says that the aim of the meetings was to limit discussion to areas within one quarter to one half of a mile form the proposed BRT station — which doesn’t include Church Hill. Groce-Wright hopes the technical assistance might lead to her neighborhood’s getting “a grocery store, a pharmacy and a hardware store.” Such services had been available but vanished when the city put the areas through urban renewal and demolished many older buildings in the early 1970s. She says that the closest grocery stores are a Farm Fresh on 25th Street and a Food Lion on Williamsburg Road. Both are more than a mile away from most of the residents, some of whom don’t drive.